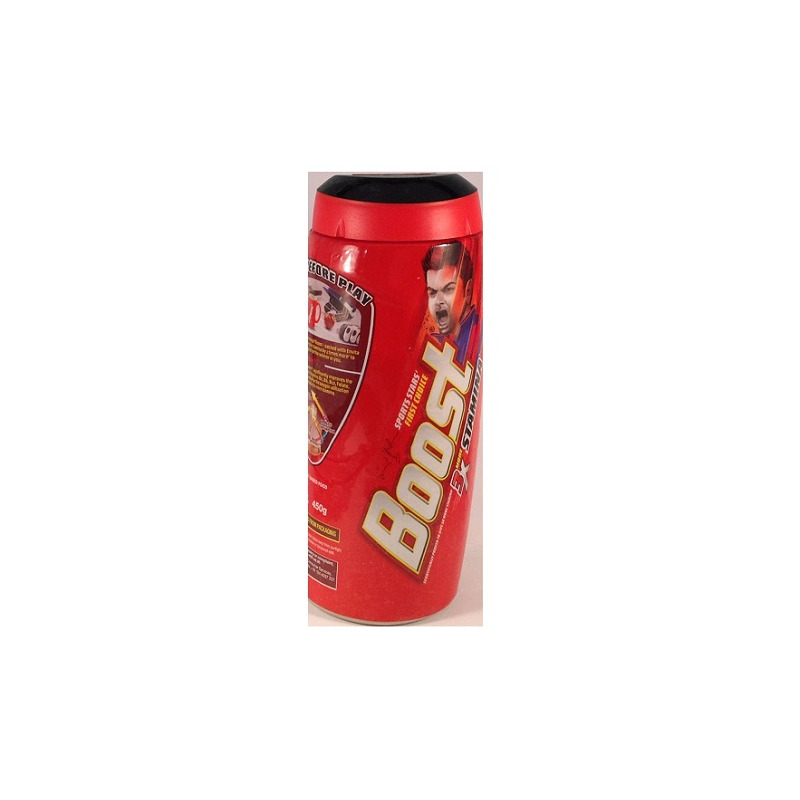 Boost is a popular malt-based health food drink in India. It is a tasty nutritional supplement packed with vitamins, minerals, calcium and protein etc. that fulfills an individual's daily requirement of nutrients. Boost comes fortified with EnVita nutrients like Vitamin B1, B2, B12, Iron, Vitamin C, Vitamin A, Vitamin D and many more essential minerals. This nourishing drink can be taken as a mini-meal or between-meal snack, as a part of your daily diet and exercise plan. It claims an increase in stamina by 3 times! 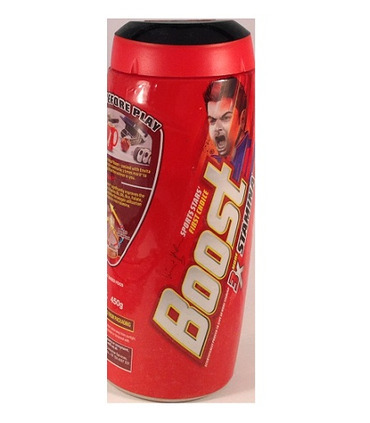 Boost is a popular malt-based health food drink in India. It is a tasty nutritional supplement packed with vitamins, minerals, calcium and protein etc. that fulfills an individual's daily requirement of nutrients. Boost comes fortified with EnVita nutrients like Vitamin B1, B2, B12, Iron, Vitamin C, Vitamin A, Vitamin D and many more essential minerals. This nourishing drink can be taken as a mini-meal or between-meal snack, as a part of your daily diet and exercise plan. It claims an increase in stamina by 3 times!